Sophie and Calcifer. Sophie and Calcifer from Howl's moving castle. Calcifer is a fuego Demond, but he's such a sweety!. 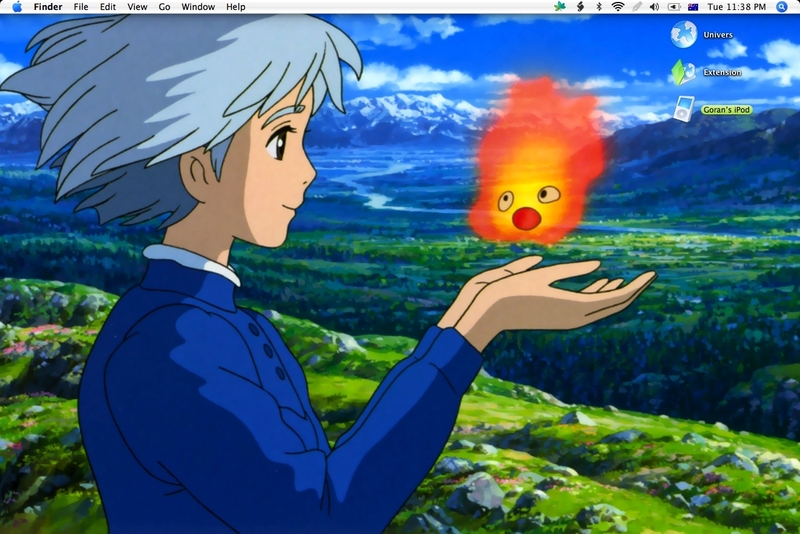 HD Wallpaper and background images in the Hayao Miyazaki club tagged: hayao miyazaki anime howlsmovingcastle sophie calcifer.